FIFA World Cup is a trophy of the national teams.The next World Cup is in Brazil as you can see this is the logo of the next World Cup. 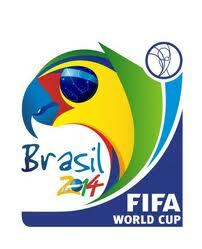 My Favourite team in the world cup is Brazil. Brazil have won the world cup 5 times thats why Brazil have 5 stars. 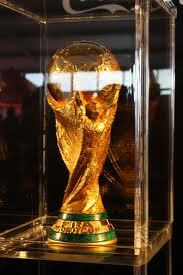 The next world cup is in 2014. The World Cup is held every 4 years.